Sauce staples for a traditional hot dog include, tomato and mustard. With the addition of mayo gives this hot dog recipe some creaminess. 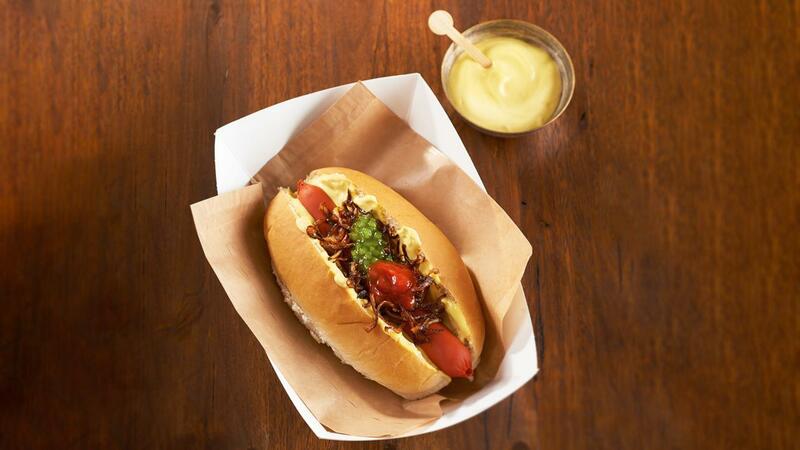 For the mustard mayonnaise, mix HELLMANN'S Real Mayonnaise and COLMAN'S Hot English Mustard together. Construct in the following order, bun, mustard mayonnaise, onions, sausage, sweet pickle relish, tomato sauce.